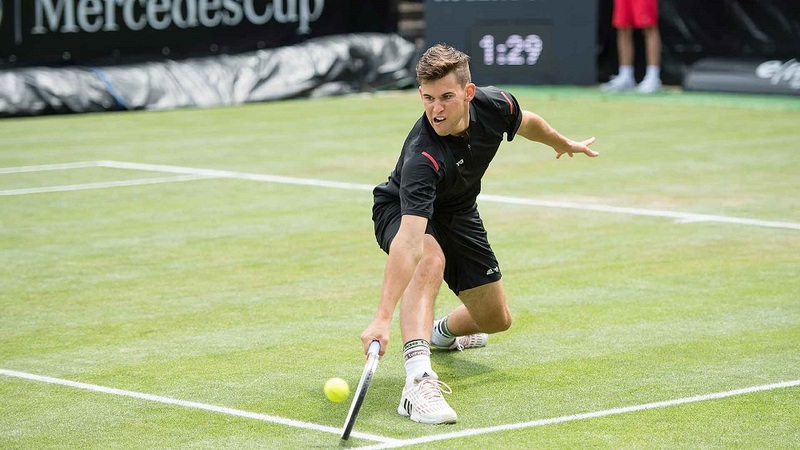 Dominic Thiem downs Sam Groth in Stuttgart. The grass-court season saw its first champions of 2016 on the ATP Tour crowned on Monday. With rain delays in Germany and the Netherlands delaying the conclusion of two events played in those countries, tennis fans had to wait until Monday morning for results to turn in. However, both events are now completed with one event crowning a repeat champion and another crowning a first-time grass court champion. 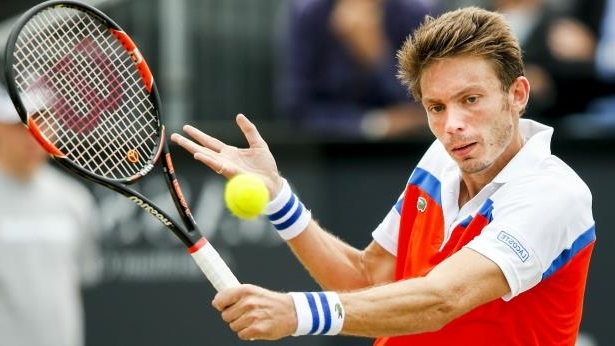 In the Netherlands, Nicolas Mahut continued to demonstrate that he’s a factor in the smaller grass-court events as he defeated Gilles Muller 6-4, 6-4. The 34-year old French national added a fourth career title to his resume, all of them on grass, and all of them coming after this 30th birthday. Title winning form has certainly come late with Mahut, but four titles on grass isn’t a bad career total, especially given how short the season is. Mahut will head over to London now where he has Andy Murray in the first round of the Aegon Championships. If Mahut doesn’t pull out of the draw due to fatigue, then it’s hard to picture him beating the World No. 2, a player who enters the tournament with more than a week’s rest. When it comes to Wimbledon down the road, Mahut has never been much of a five-set-tennis kind of guy, and he’s yet to win a third-round match in any major despite being in his mid-30s. Muller is in the London draw too and, if the 33-year-old is not too not tired, he stands a chance of actually sticking around for a bit. He picked up a British Wild Card in the first round and should be able to handle himself. The other tournament from last week was ATP Stuttgart. It featured Roger Federer as the top seed. However, the Swiss Maestro lost in the semifinals to Dominic Thiem. That could be a sign of things to come, and Thiem went on to win a rain-delayed final against Philipp Kohlschreiber 6-7, 6-4, 6-4 to claim his fourth title of the year. The title injects some life into Thiem as a candidate to do well in Wimbledon. Up until now he has largely only been considered an adept clay courter as that surface is the one where most of his career titles have been earned. However, beating Federer and then Kohlschreiber, who wins a lot of matches on German soil, will definitely turn some heads. Thiem and Kohlschreiber are both in the ATP Halle draw. Thiem has Joao Sousa in the opening round and actually shares a draw with Kohlschreiber to the semis. Both players share a draw to the final with Kei Nishikori, the Japanese player looking good in the tournament as he enters better rested than the core competition on the bottom half of the draw. Federer is the top seed in the Halle tournament with both David Goffin and Tomas Berdych looming large on the top half of the draw as well. This week’s tournaments in London and Halle are 500-series events. They represent the last serious tournaments ahead of Wimbledon, which starts on June 27th at the All England Club.